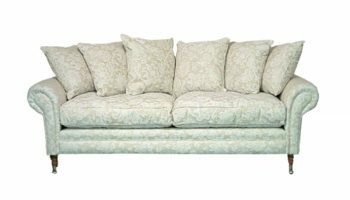 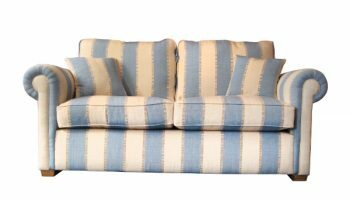 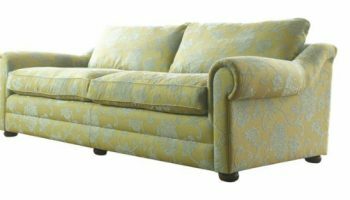 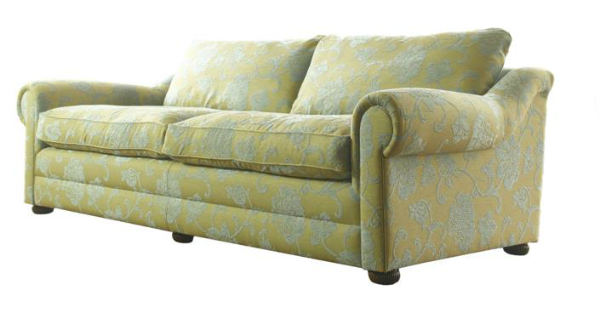 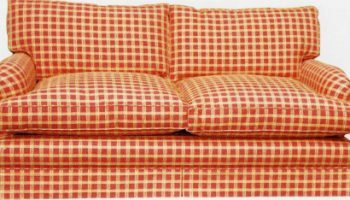 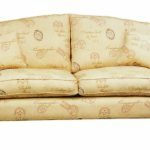 Fitzgerald sofas and chairs made to order in any fabric | The Handmade Sofa Company, handmade sofas Dorset. 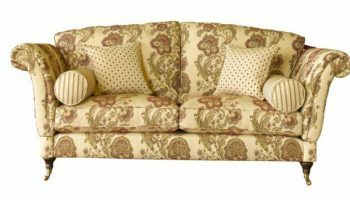 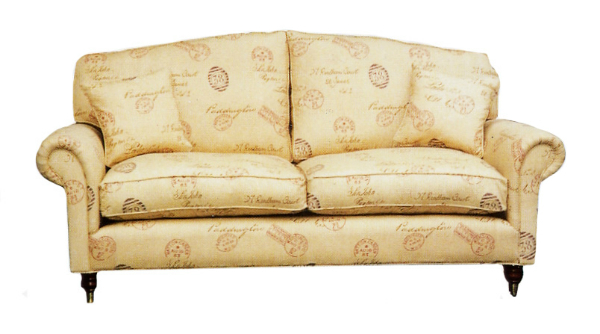 Traditional Italian in style with rounded arms and shaped cut-away fibre-filled back cushions finished off with short turned legs and brass casters. 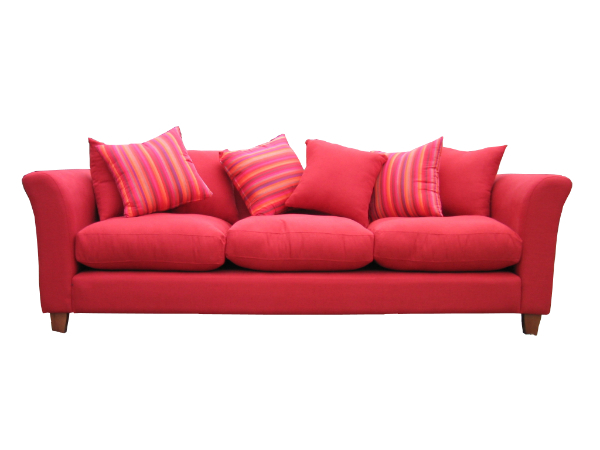 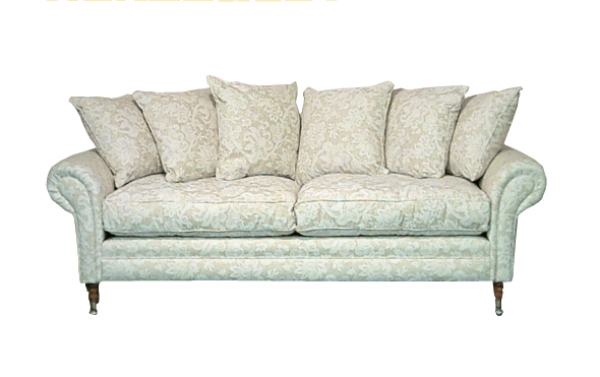 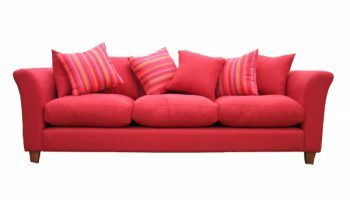 Supplied with pillow cushioned back as standard but scatter back cushions can also be used. 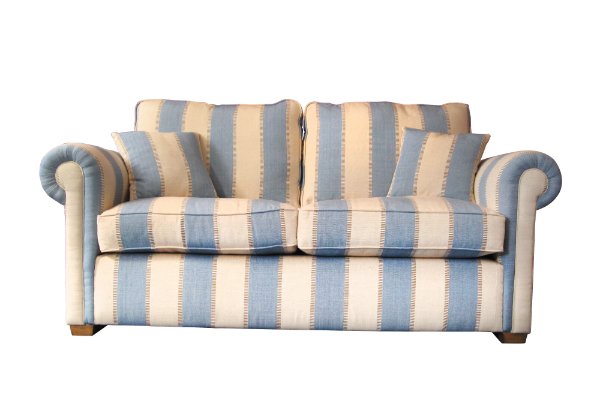 Available as a sofabed after some modification – please ask for details. 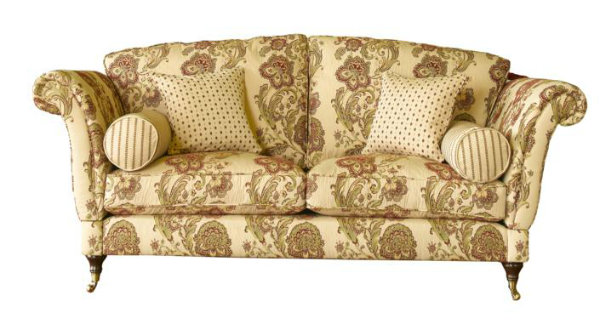 Available with a wide choice of wooden feet/legs in different finishes or metal.